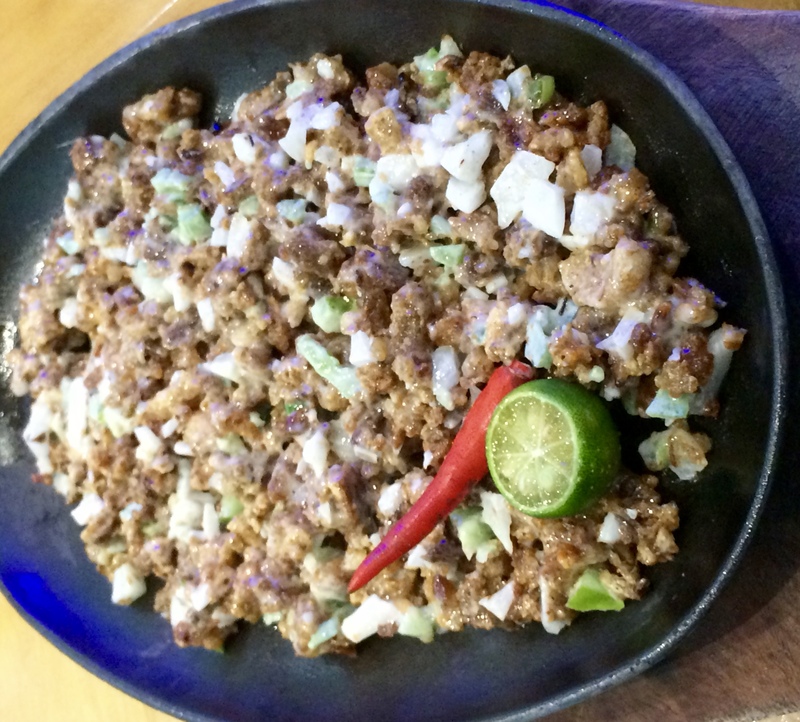 3 Reasons to Love Sisig Hooray! 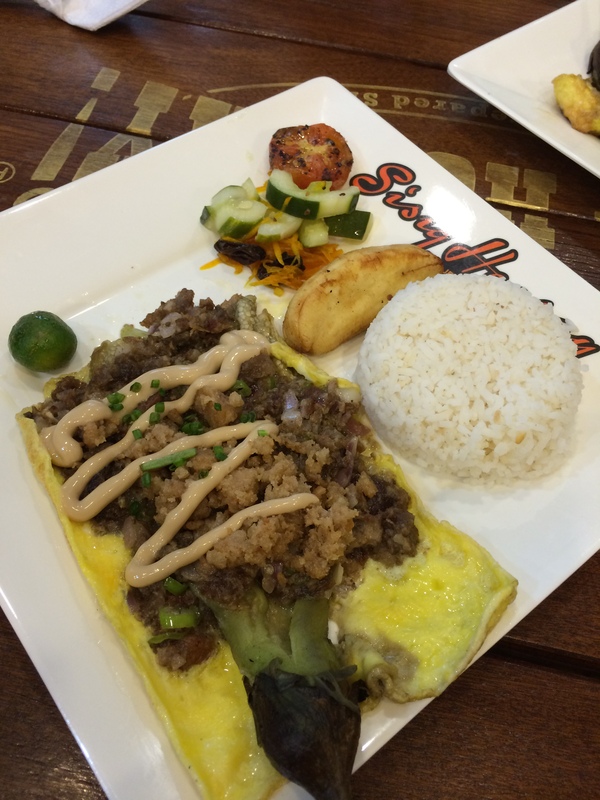 Filipinos love sisig! 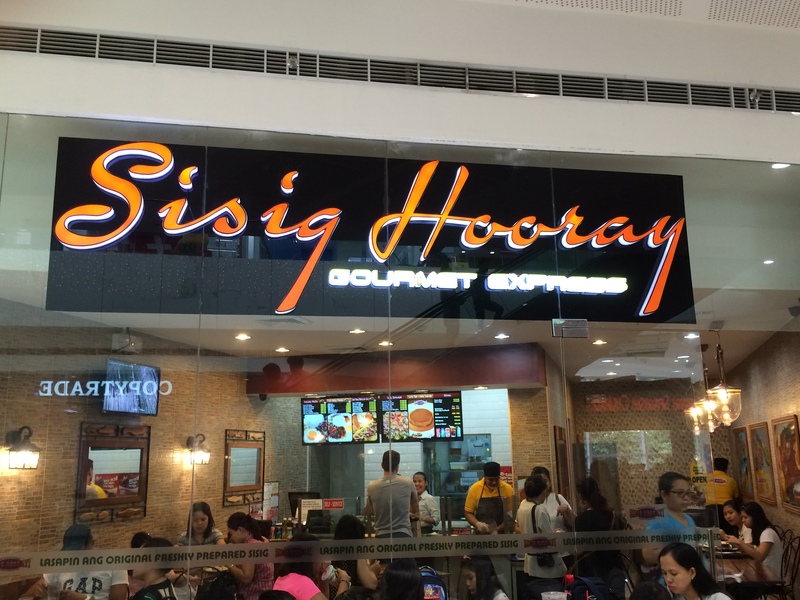 Early this year, SIsig Hooray opened its doors to hungry customers in SM Center Angono. 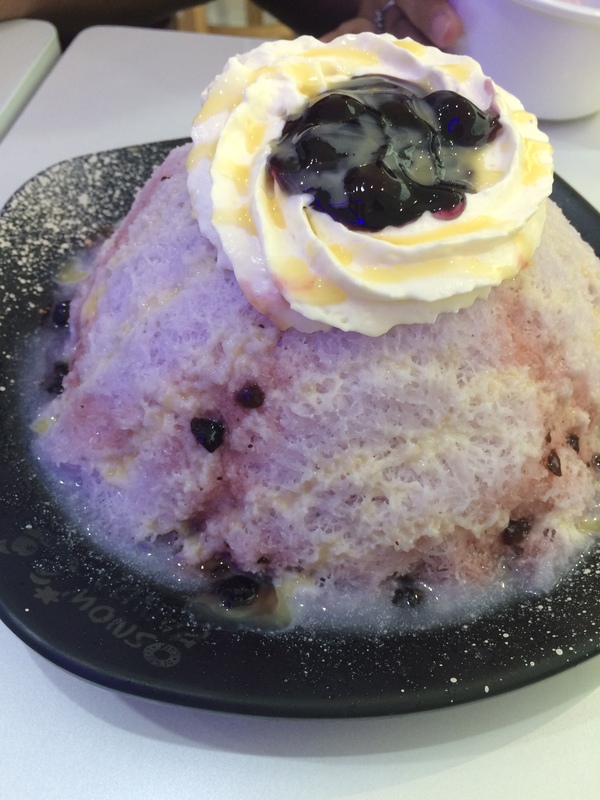 Naturally, we, especially the Husband and the Brother, had to go there and try it. 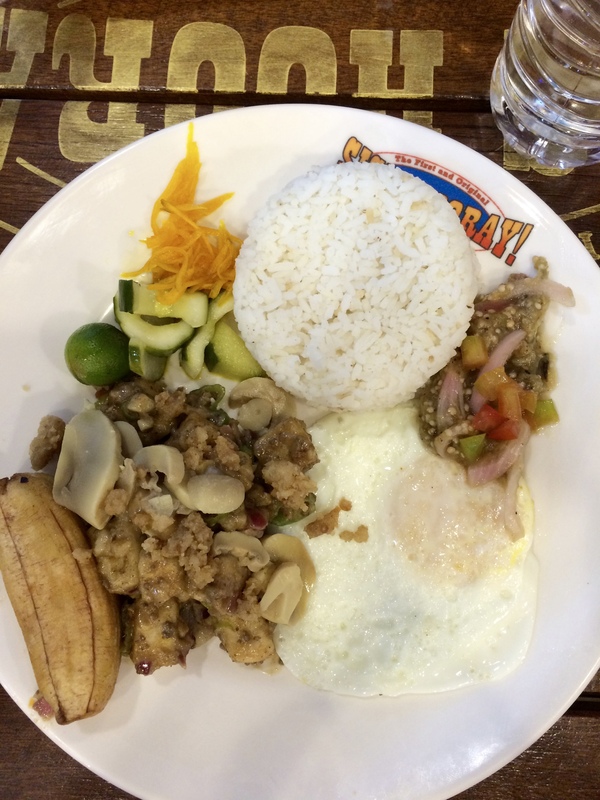 Here’s sharing with you 5 things to love about Sisig Hooray (If you don’t love them already). They have GOOD SISIG! 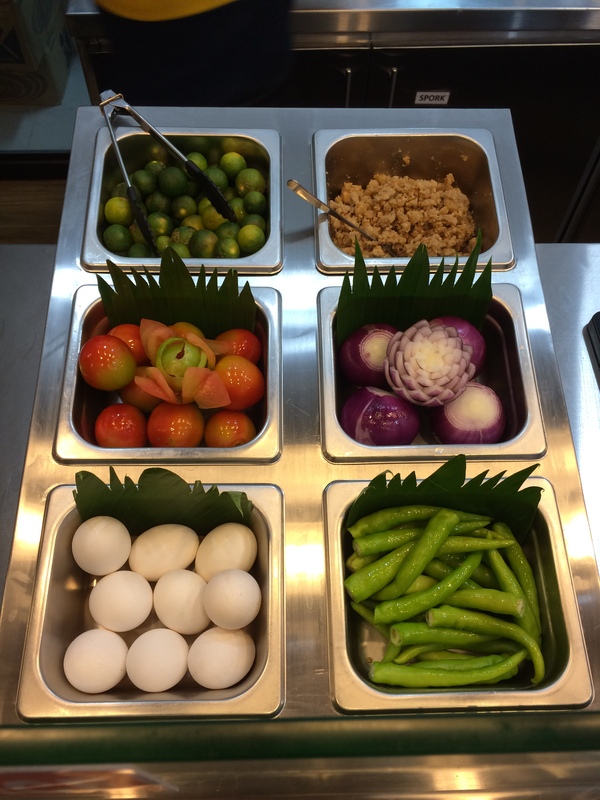 Sisig Hooray started as a kiosk in food courts focused only on one product – Sisig. 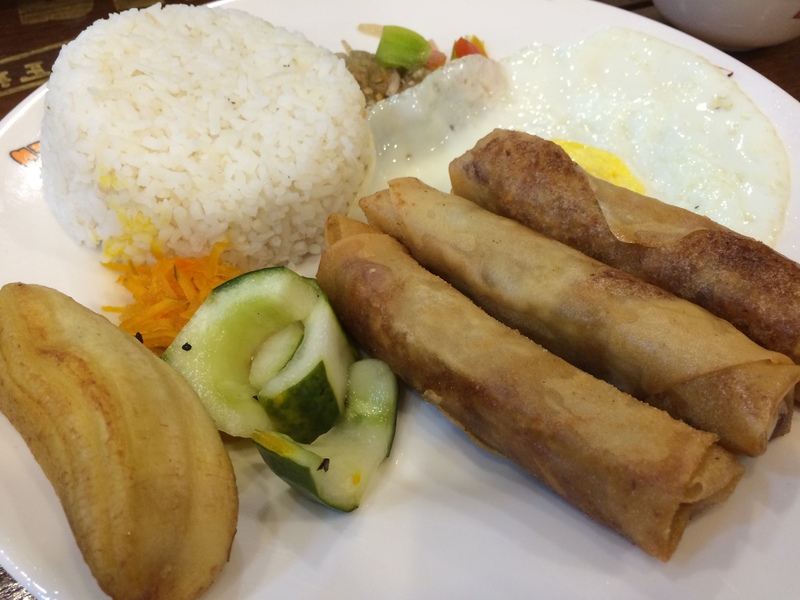 With many happy customers, they have now expanded and one can expect great tasting sisig. Sisig is good that customers flock into their stores. 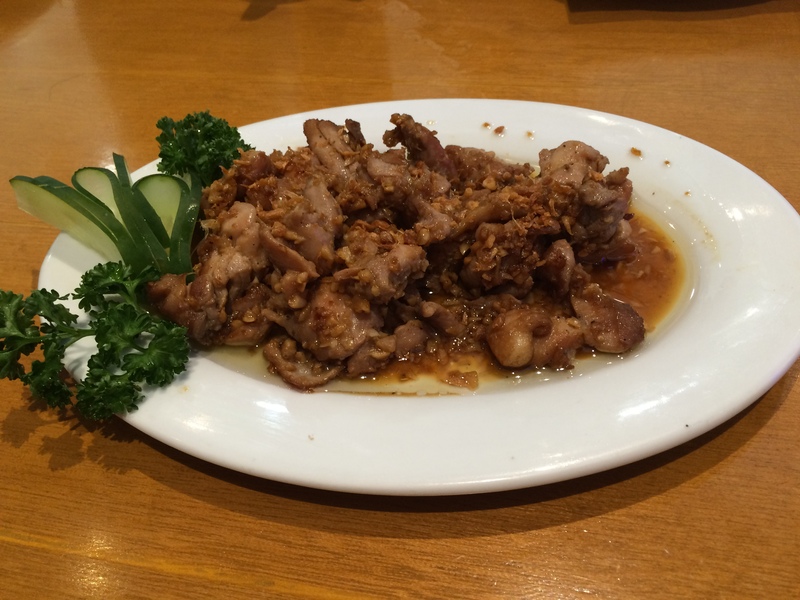 On good days, they go on an average of 20 – 30 Kilos of pork to serve their customers. 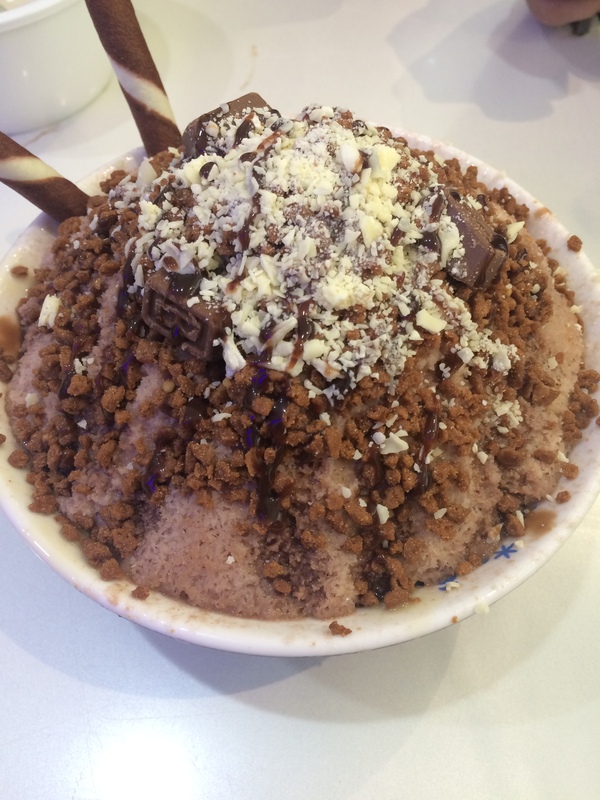 They also have choices for the health – conscious. They have chicken and bangus sisig and Mushroom and Tofu, in case you are careful to have pork at all! 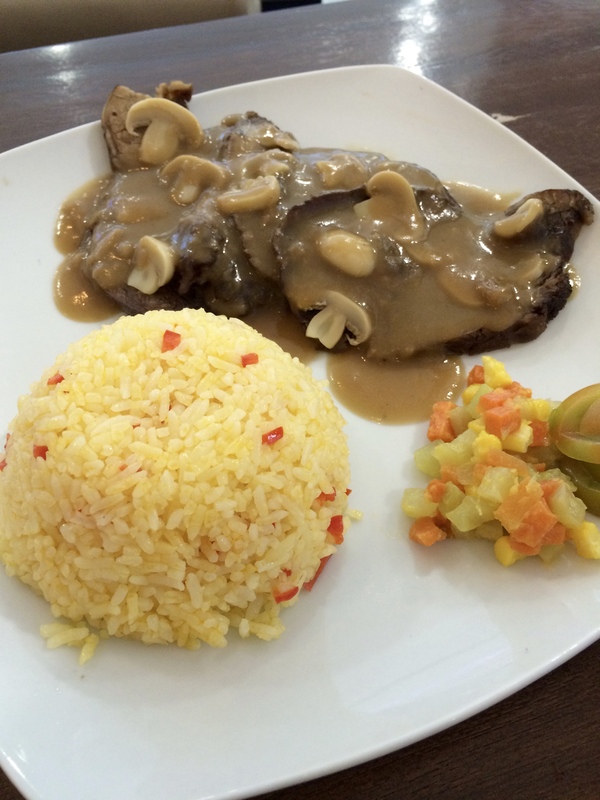 Food is affordable from P 89.00 (Kasilog (Kanin, Sisig and itlog ) Meals to P120.00 Pesos ( OFTS – Open-Faced Talong Con Sisig )Meals. 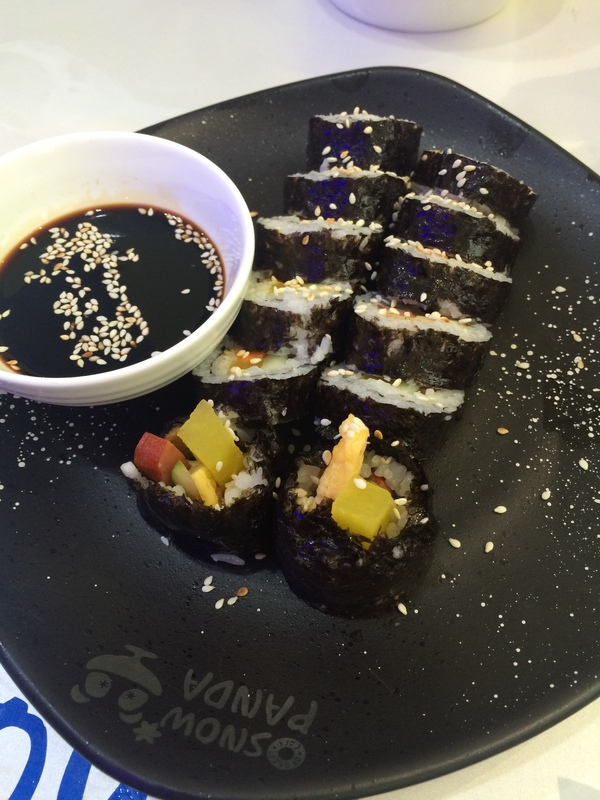 The typical Juans and Juanas can afford these sulit meals.You can also have Tuna, Squid and Smokey OFTS for P165 – 180.00. 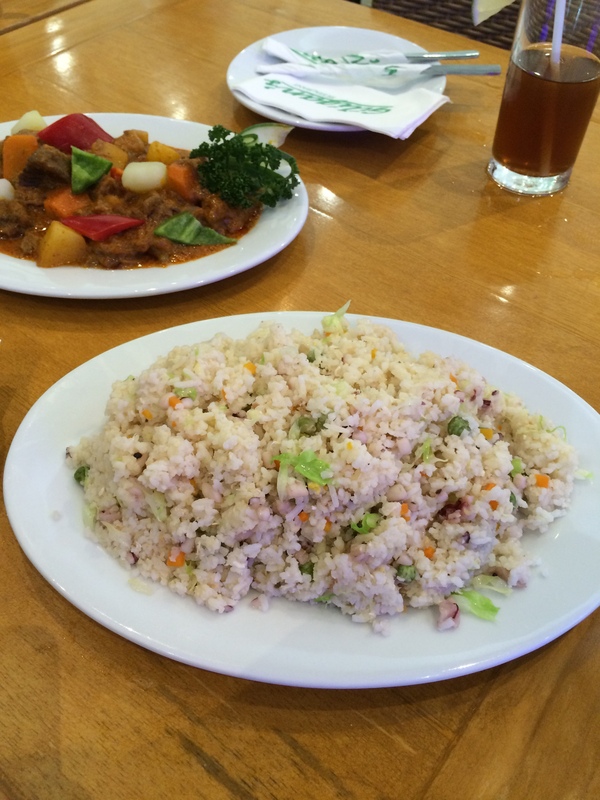 Add P 10.00 to make it unlimited rice – “Kanin Overload”. 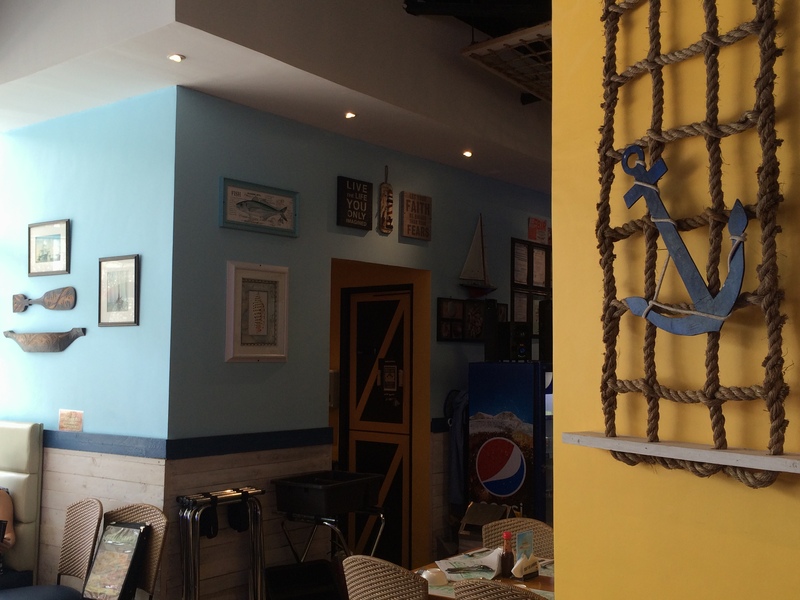 The expanded store concept in SM Center Angono is homey and cozy, perfect for family and friends. You constantly hear a festive beat as the sisig chopper produces an awesome rhythmic beat with his knives on the chopping block. It was amazing. You gotta hear it to know what I am saying. 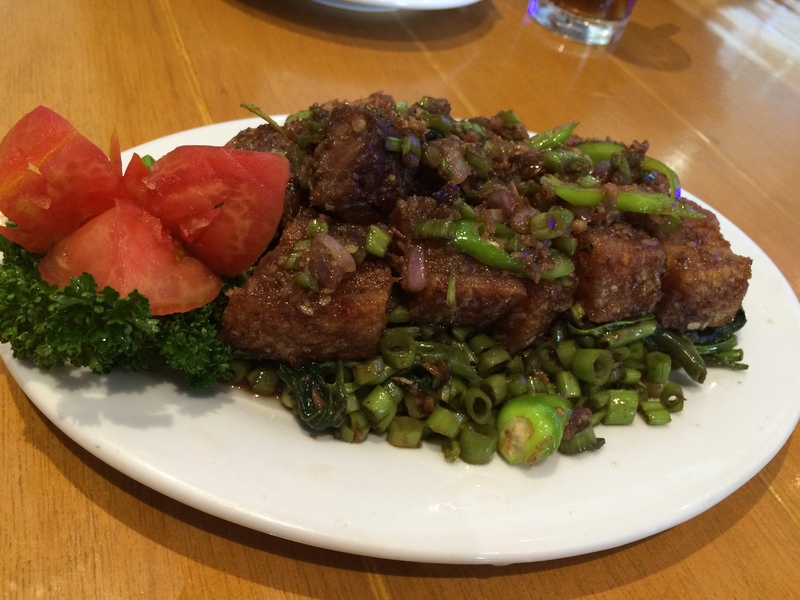 Sisig is a Filipino “thing” and it is great to know the story behind the business. 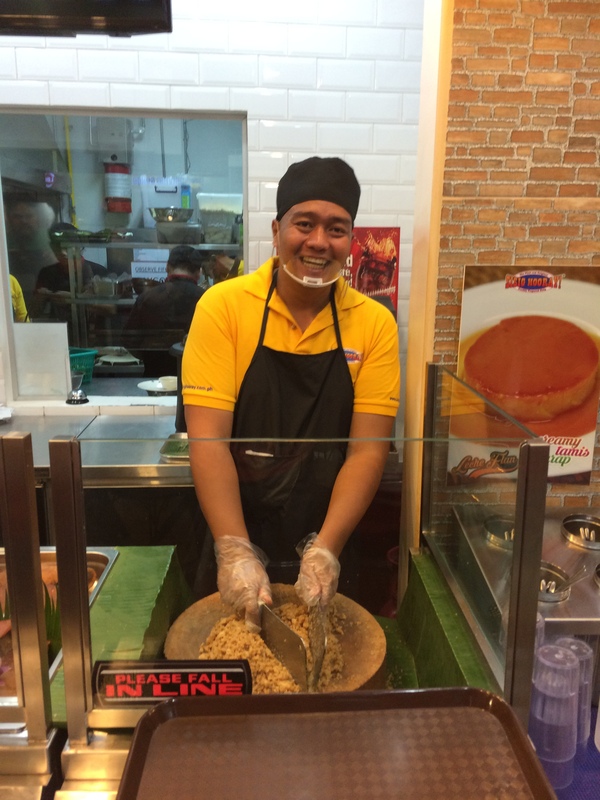 The owner, Mr. Emmanuel Balse, started his sisig business with food carts and kiosks, then upgraded to stalls in food courts which grew to several stores in Malls. 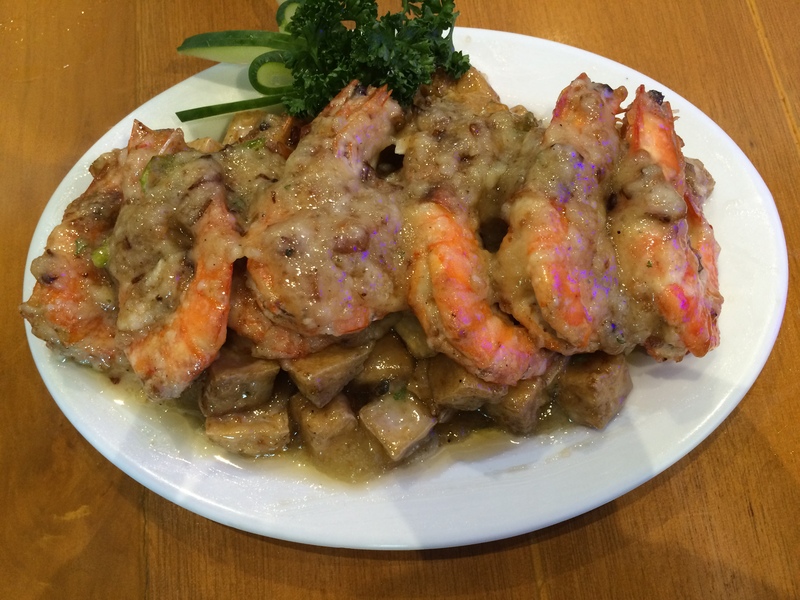 His passion for food for his kababayans and our love for good food fueled the growth and expansion the business. 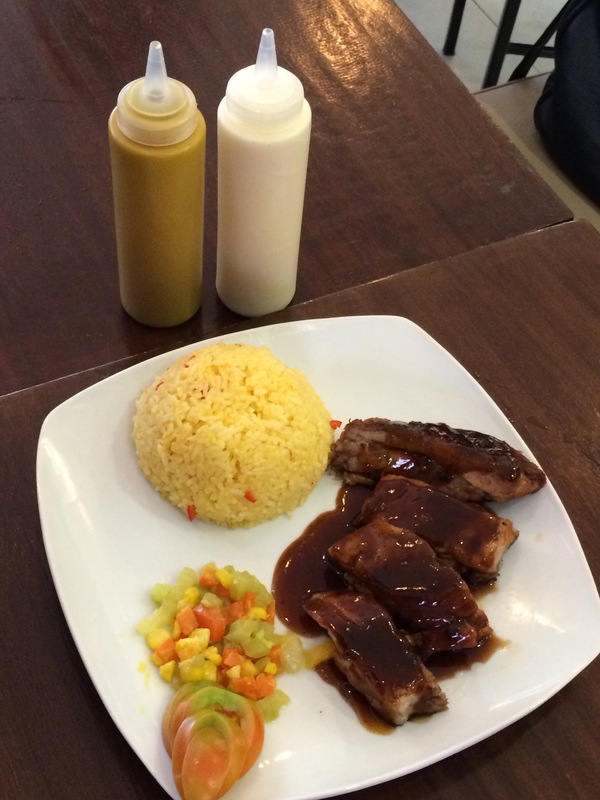 People in Rizal area need not travel far to have a taste of authentic grilled burgers, Chicken Wings, Angus Beef, Fish and Chips, Baby back ribs and Steak. (Hmmm.. now I am hungry). 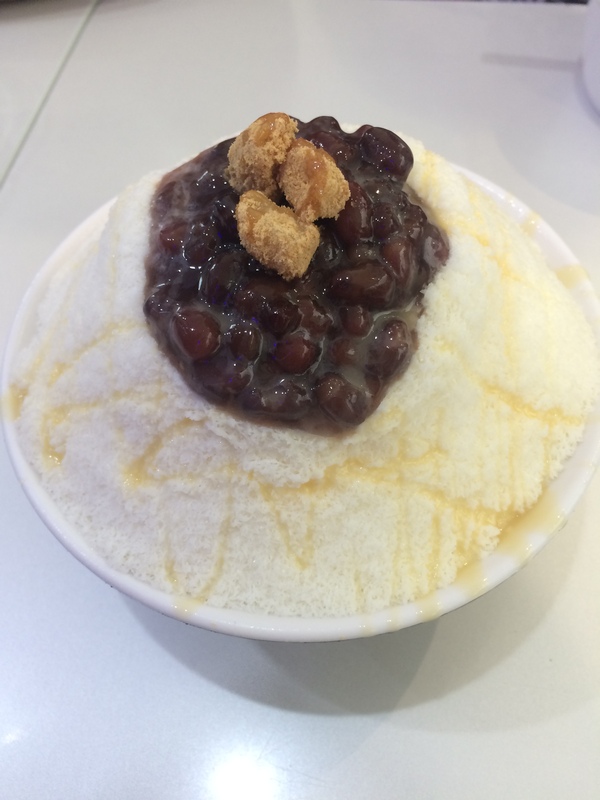 If you are from Angono and craved for these, the first instinct maybe ,is to travel to either Eastwood or Ortigas area. But no need as they are already in the area! 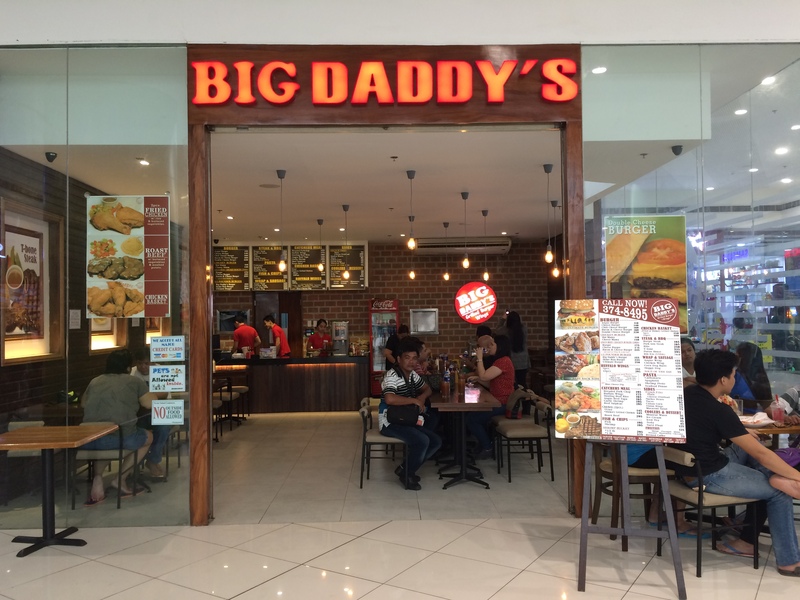 Big Daddy’s main branch is in Timog and they have now expanded to let Rizaleños enjoy their offerings. 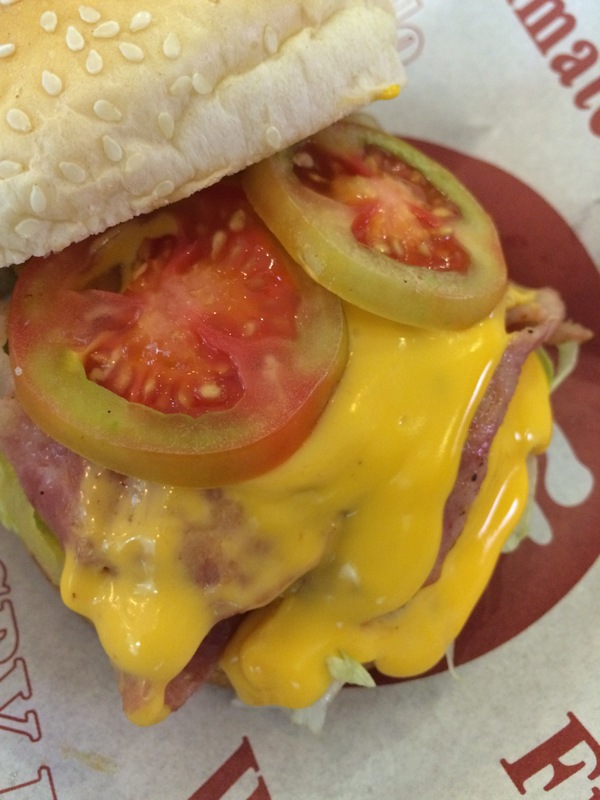 They recently opened their 9th branch in SM Center Angono after opening a branch in SM City Taytay! The food is great. 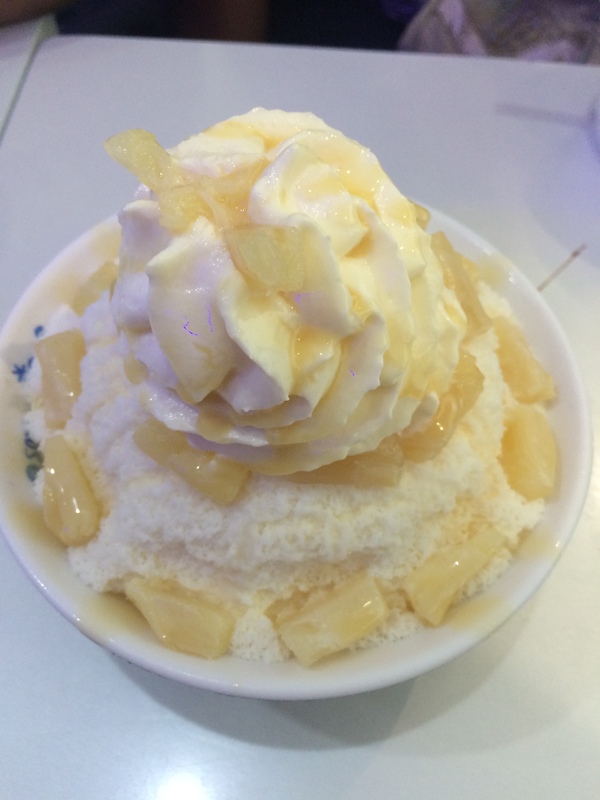 Flavors are good – strong and nice! The price is affordable! 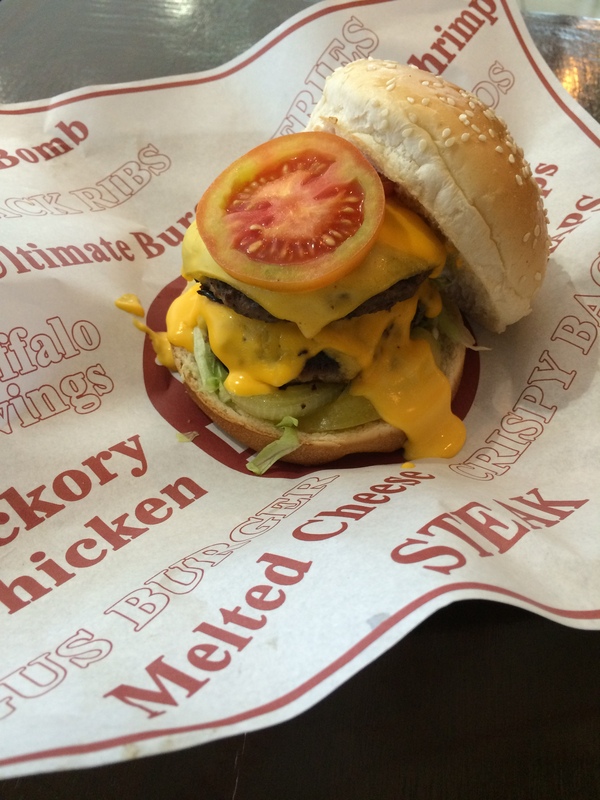 You can have a grilled burger for P110 – 220, Pasta for P 125 – 155, Buffalo wings from P 155- 295 and Steak for P 165 – P395. 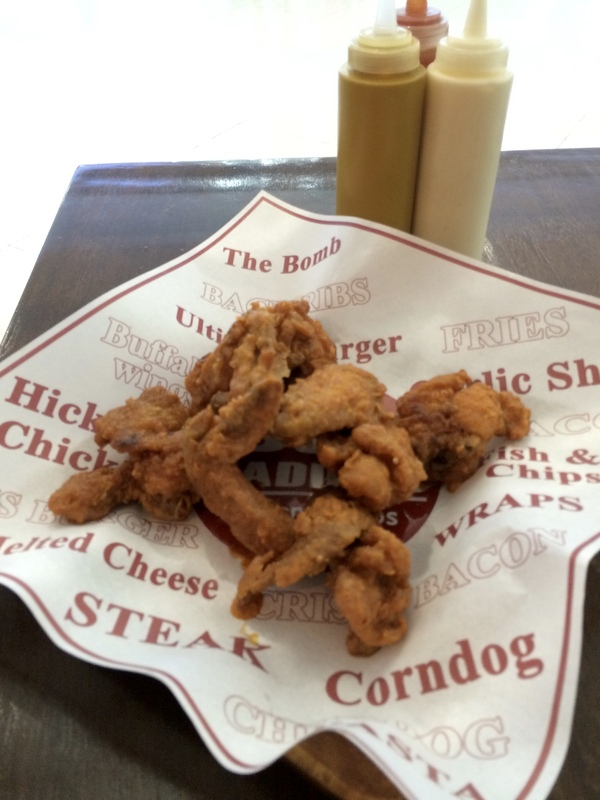 Chicken Basket for around P250 to P480. 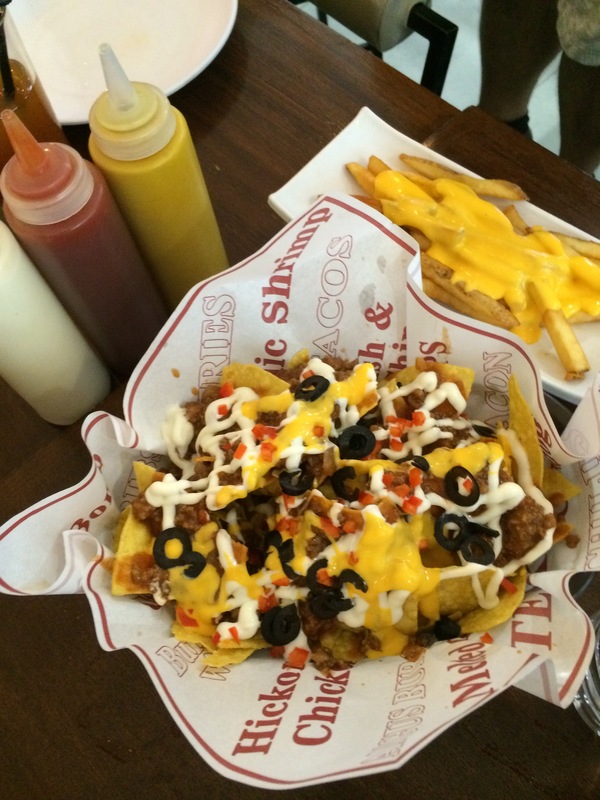 They have side dishes: Fries from P75.00 to 100 and Nachos Bravo, which is a hit at P175.00. They also have refreshing fruit coolers @ 125 each. 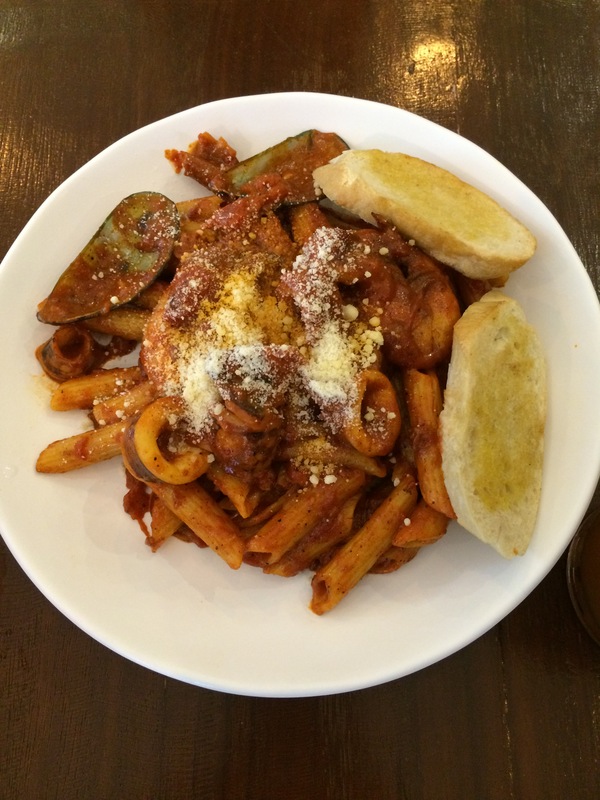 These are good prices, especially when compared with world-famous restos in the Ortigas area. The ambiance is light and cozy. 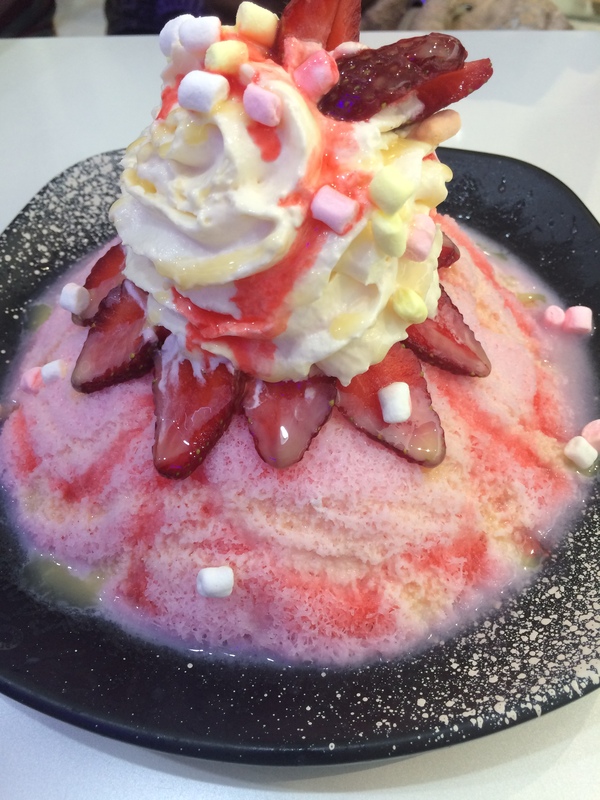 It’s a very nice and cool hang out place for friends, officemates and family, especially when you celebrate special occasions, or when you go on that special date and would want to steer away from crowded placed. I recommend that you try them out! 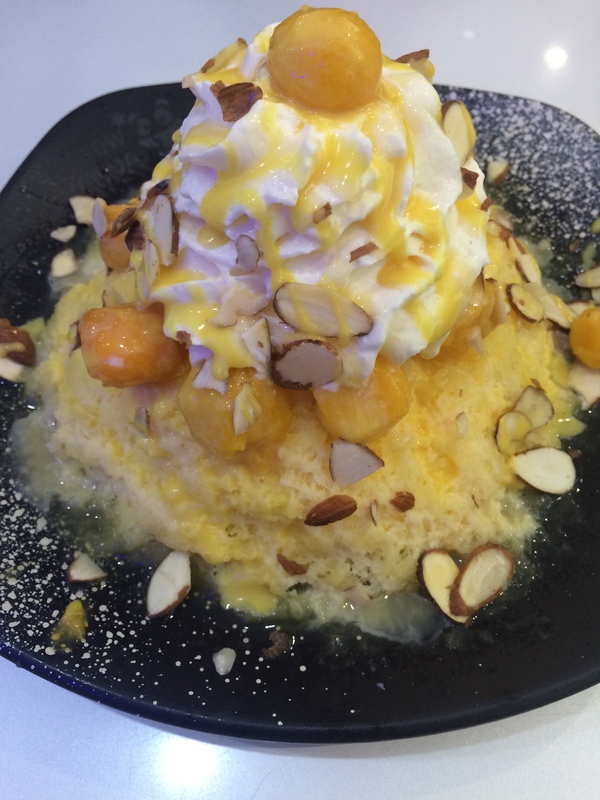 They are located at the 3rd floor, SM Center Angono, near the cinema. 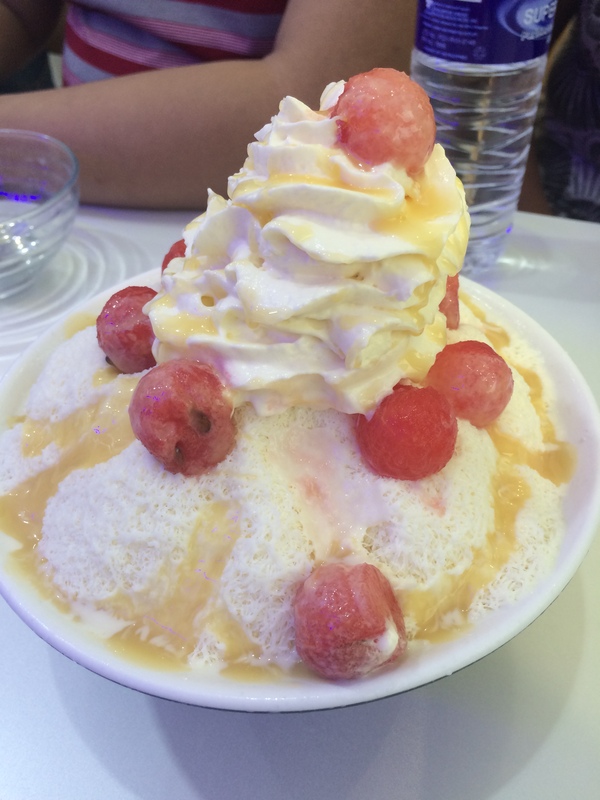 Have you ever wondered how desserts in Korea tastes like? 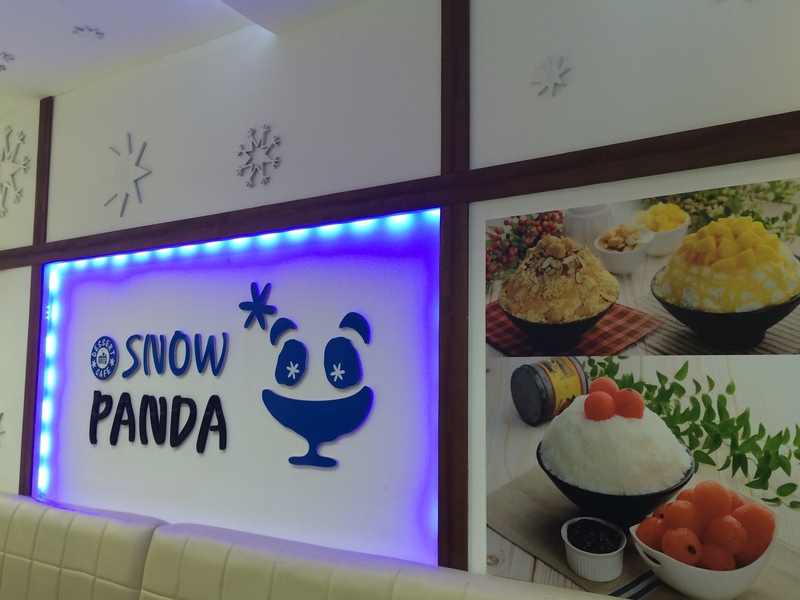 Snow Panda is now open in SM Center Angono. 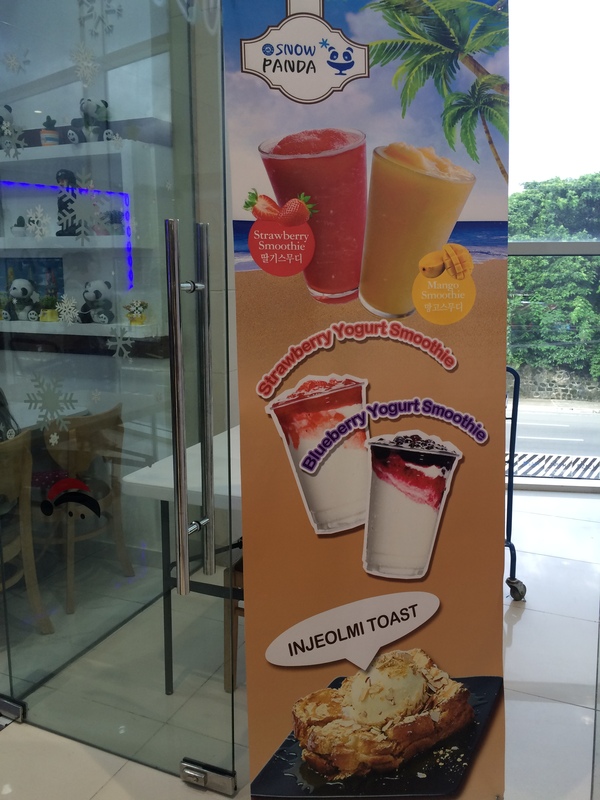 They serve Korean desserts like Bing Su, Cold Teas, Smoothies, Yogurt, and Fruit Ades in so many different flavors. 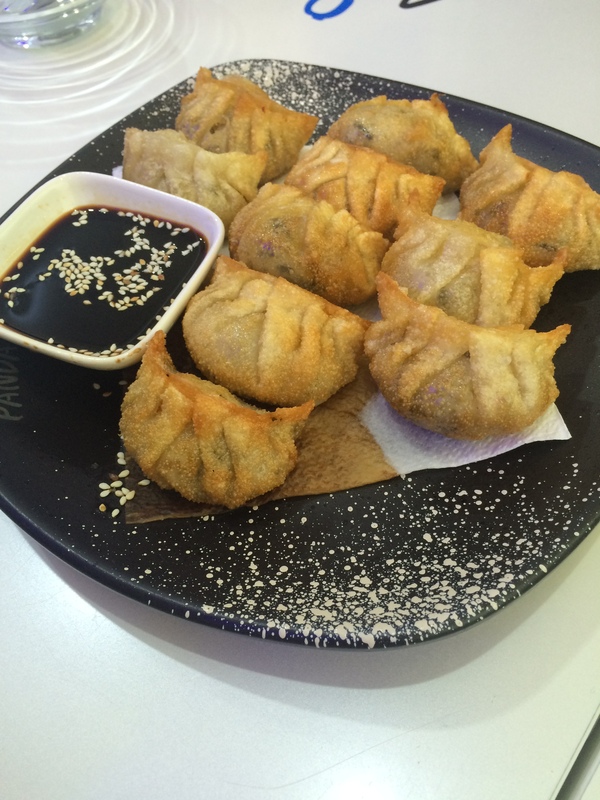 They also offer Korean snacks like Kimbab, Mandu and Toasts. 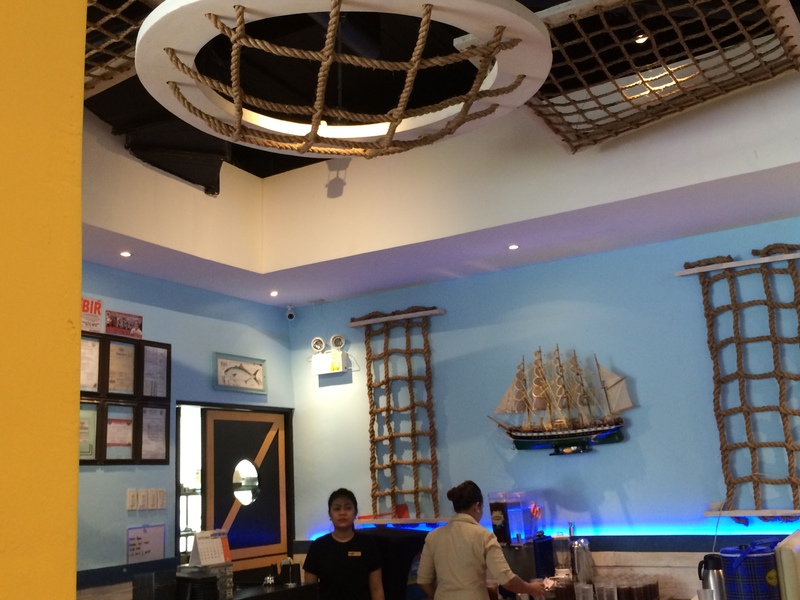 The store is attractive and inviting with white walls, cool lighting and nice pictures of their food. 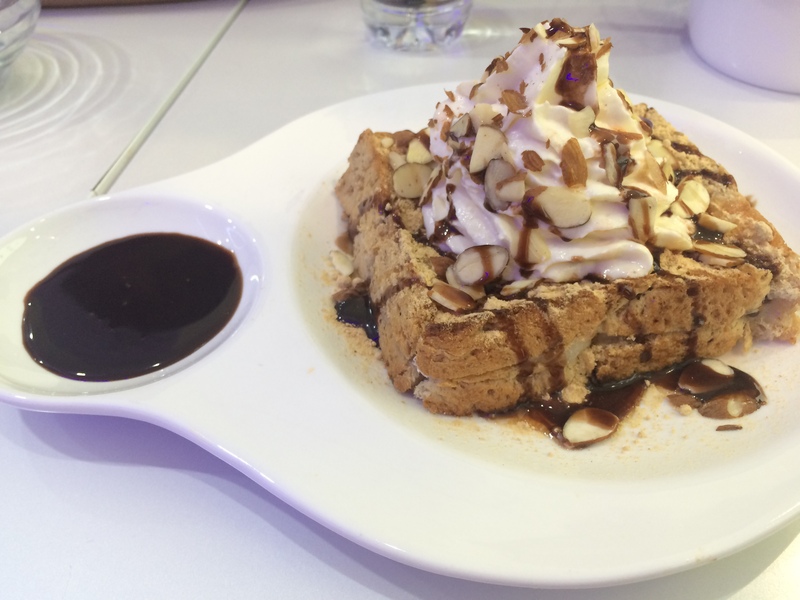 Try it and experience Korean Desserts, while in the Philippines. 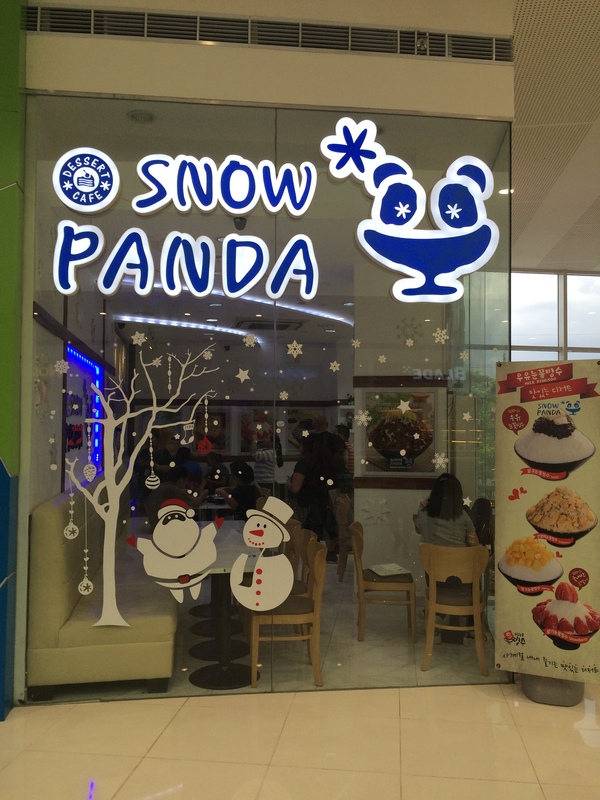 They are located at the 2nd floor of SM Center Angono. 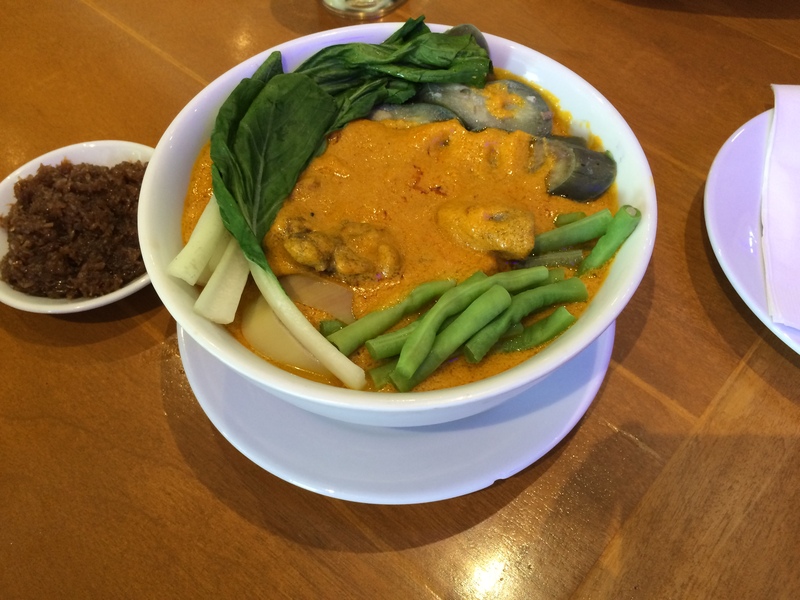 Craving for Filipino food? 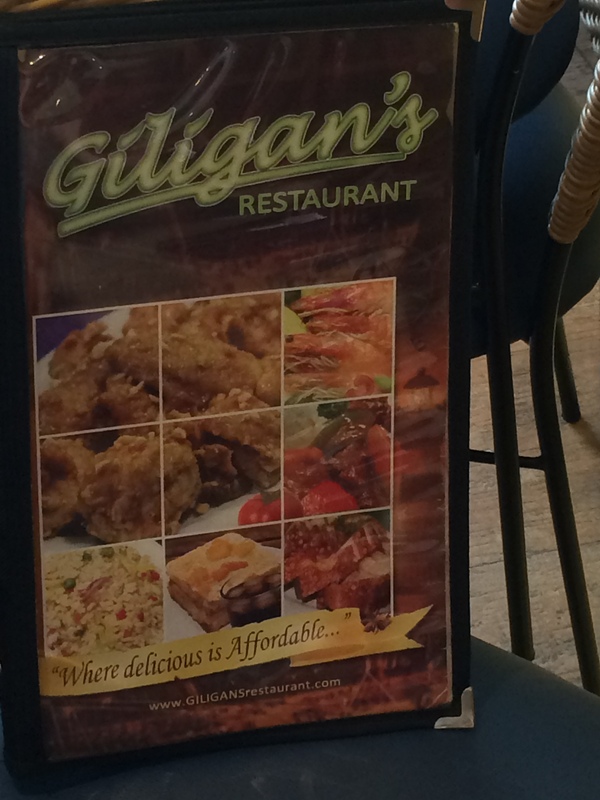 You’d be happy to know that Giligan’s opened another branch in SM Center Angono. 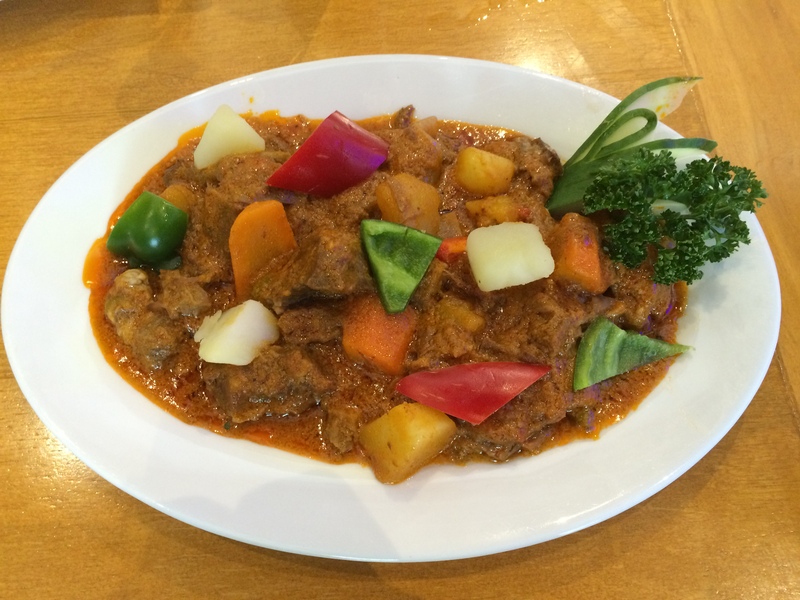 Family and friends would surely enjoy well loved Filipino delicacies served well in a cozy island – inspired theme. 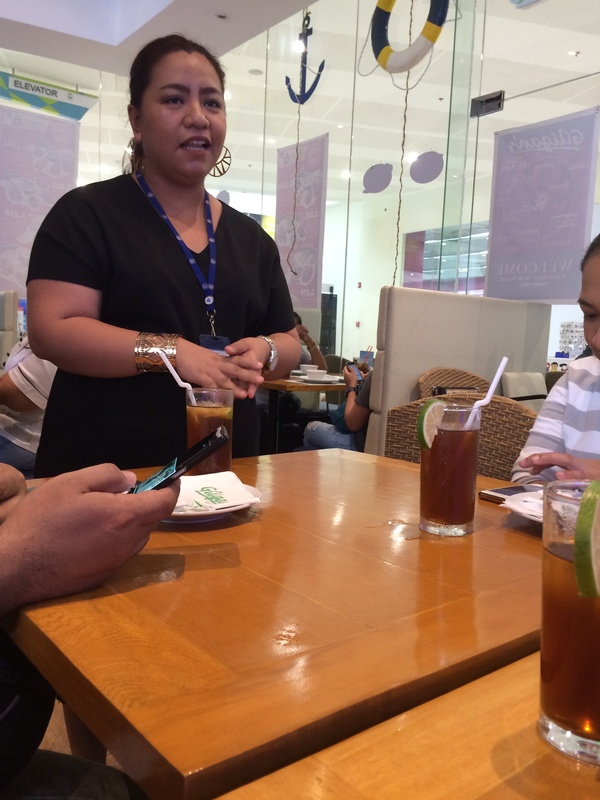 The Alquiroses, who owns the restaurant chain, currently owns 63 branches to date and will soon expand to 72 branches by the end of 2016. The concept came from Gilligan’s Island, a long running american sitcom about a two-man crew and 5 passengers who embarked on oa 3 – hour tour from Honolulu. They encountered a tropical storm and are shipwrecked on an uncharted island in the Pacific Ocean. (Source: Wikipedia). Interesting! 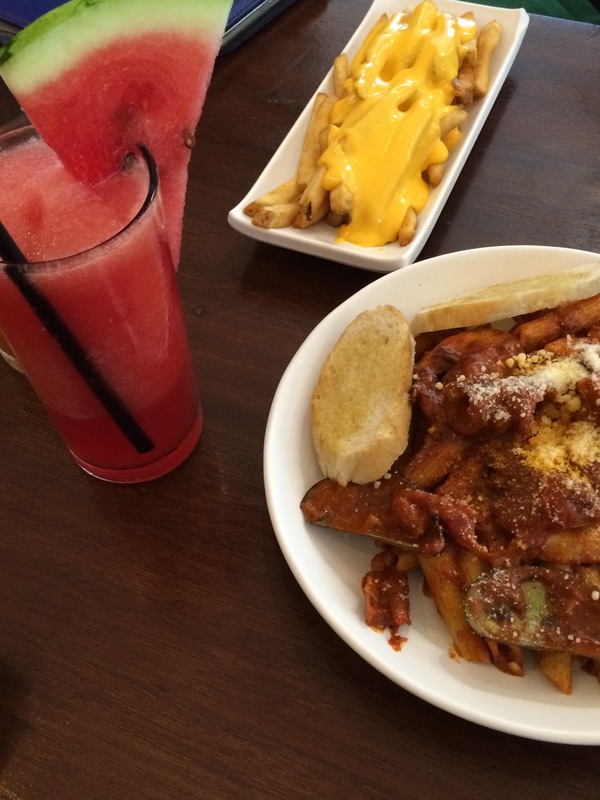 They have a lot of food choices that you would love! With the many choices, it is not surprising to see many groups of people lining up outside the resto! Reservations are accepted only from Mondays to Thursdays. For Fridays and Weekends, guests are taken in on a first-come, first served/priority waiting basis. Try their family meals and save much. 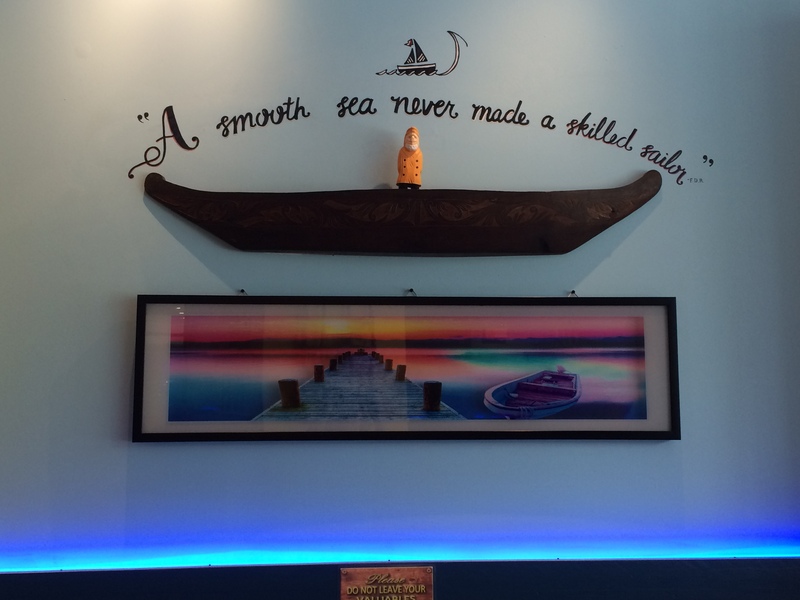 At the end of the day, I wouldn’t mind getting “stuck” at Giligan’s when food is this great!